This module concentrates on the computational aspects of bioinformatics, while at the same time providing students with enough background in the biosciences to appreciate the contexts in which computation is applied. 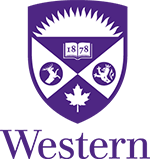 The Honors Specialization in Bioinformatics leads to a degree that is accredited by the Computer Science Accreditation Council, the academic arm of the Canadian Information Processing Society, under its interdisciplinary program criteria. The Honors Specialization in Bioinformatics can be completed only within BSc (Hons) degrees. 1.0 course from Applied Mathematics 1201A/B, Applied Mathematics 1413, Calculus 1000A/B, Calculus 1301A/B, Calculus 1500A/B, Calculus 1501A/B, Mathematics 1600A/B. Students taking this module must see a Departmental Counsellor in Computer Science for advice concerning the order in which courses have to be taken. 1.0 course: Biochemistry 2280A, Biology 2581A/B. 6.0 courses: Computer Science 2208A/B, Computer Science 2209A/B, Computer Science 2210A/B, Computer Science 2211A/B, Computer Science 2212A/B/Y, Computer Science 3305A/B, Computer Science 3319A/B, Computer Science 3331A/B, Computer Science 3340A/B, Computer Science 4460Z, Computer Science 4463A/B, the former Computer Science 4462A/B. 0.5 course from: Computer Science 3307A/B/Y, Computer Science 3346A/B. 0.5 course from: Computer Science 4461A/B, the former Biochemistry 4445F. 0.5 course from: Biology 2290F/G, Chemistry 2223B. 0.5 course from: Biochemistry 3381A, Biology 3592A/B, Biology 3593A/B. 1.0 course from: Computer Science 4411A/B, Computer Science 4412A/B, Computer Science 4416A/B, Computer Science 4417A/B, Computer Science 4418A/B, Computer Science 4445A/B, the former Computer Science 4432A/B. 0.5 course from: Statistical Sciences 2141A/B, Statistical Sciences 2244A/B or Statistical Sciences 2857A/B, Biology 2244A/B the former Statistical Sciences 2657A.